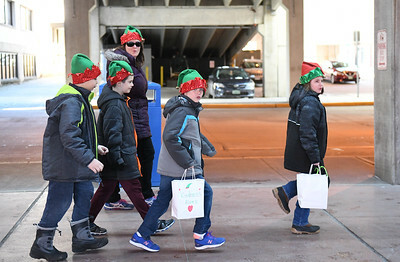 In just one hour, Summer Stoutes, left, second grade teacher at Rutland North East Primary School, and her band of student elves distributed nearly 300 cards encouraging acts of kindness around downtown Rutland Friday morning. The students created laminated cards with a message to it's receiver: 'You must complete 3 acts of kindness.' The card asked participants to document and share photos of their acts to the “Kindness Elves” Facebook group. Seen here Nahdia Lee, center, and Rowena Tuttle put their cards underneath a windshield wiper. In just one hour, Summer Stoutes, second grade teacher at Rutland North East Primary School, and her band of student elves distributed nearly 300 cards, mostly on windshields, encouraging acts of kindness around downtown Rutland Friday morning. The students created laminated cards with a message to it's receiver: 'You must complete 3 acts of kindness.' The card asked participants to document and share photos of their acts to the “Kindness Elves” Facebook group. Seen here Rowena Tuttle, left, and Nahdia Lee look for cars to put cards on. 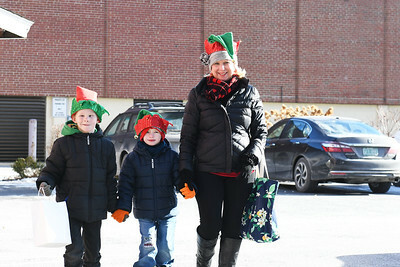 In just one hour, Summer Stoutes, left, second grade teacher at Rutland North East Primary School, and her band of student elves distributed nearly 300 cards encouraging acts of kindness around downtown Rutland Friday morning. The students created laminated cards with a message to it's receiver: 'You must complete 3 acts of kindness.' The card asked participants to document and share photos of their acts to the “Kindness Elves” Facebook group. 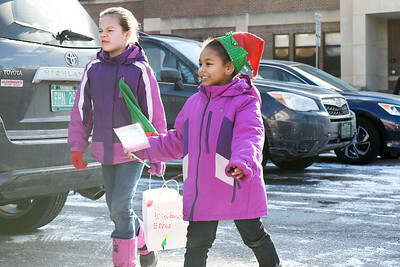 Seen here, Rowena Tuttle, center, and Nahdia Lee put cards and a candy cane underneath a windshield wiper. 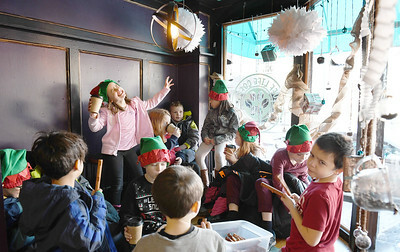 In just one hour, Summer Stoutes, second grade teacher at Rutland North East Primary School, and her band of student elves distributed nearly 300 cards encouraging acts of kindness around downtown Rutland Friday morning. The students created laminated cards with a message to it's receiver: 'You must complete 3 acts of kindness.' The card asked participants to document and share photos of their acts to the “Kindness Elves” Facebook group. 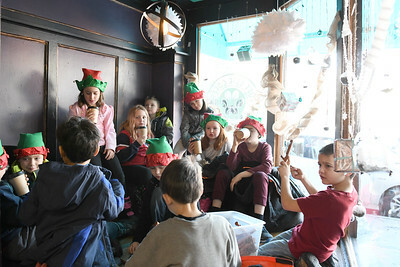 Seen here, students regenerate with a cup of hot cocoa at the Ruff Life Cafe after their tour in the city.